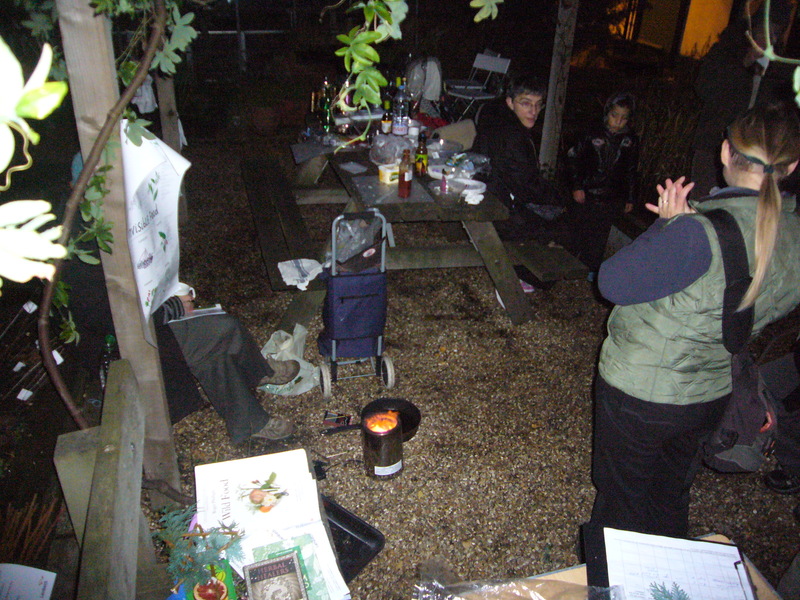 On Saturday 12th December 2009, I was invited to take part in the Christmas party at the Diversity Garden, one of Bankside Open Spaces Trust’s gardens. It was a cold afternoon but to the sounds of Boney M’s Mary’s Boy Child, we kept warm. 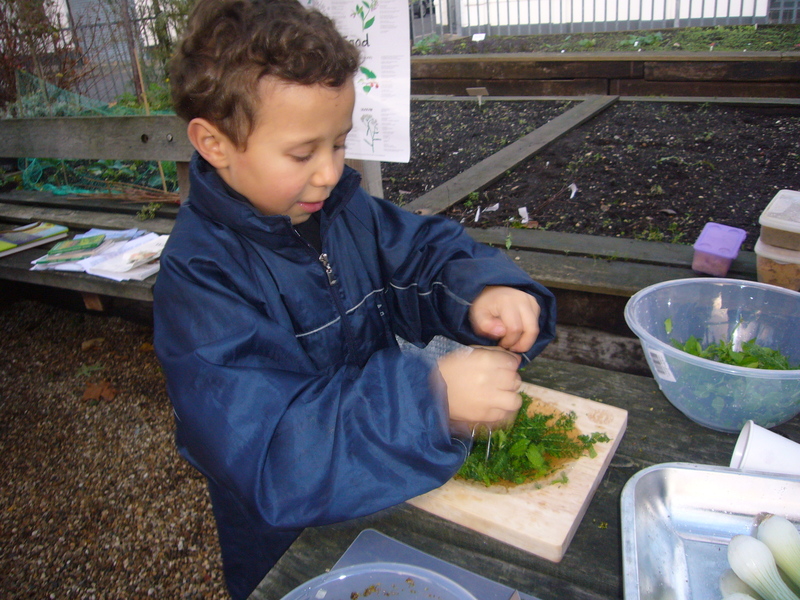 There were crafts with Frances and we foraged for nettle, yarrow and chickweed in the borders of the garden. 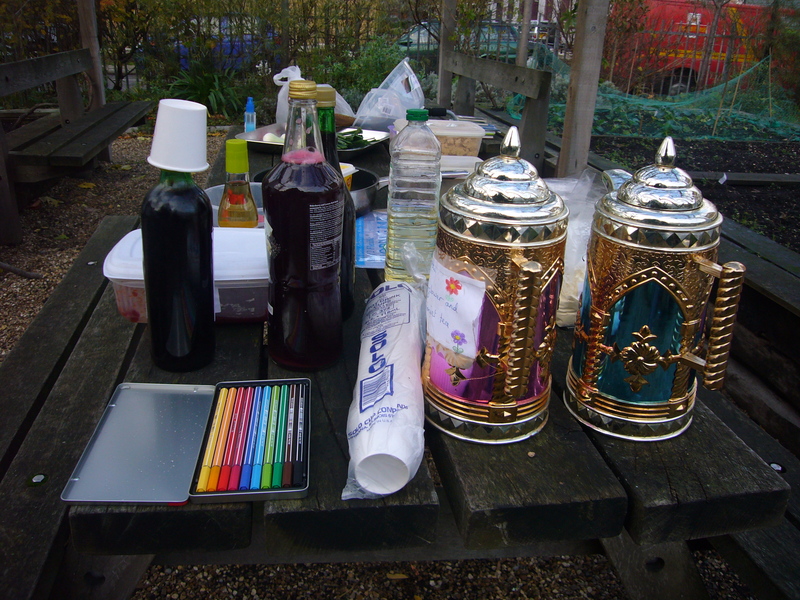 Because this was the diversity garden, we decided on a caribbean theme with Christmas sorrel drink. 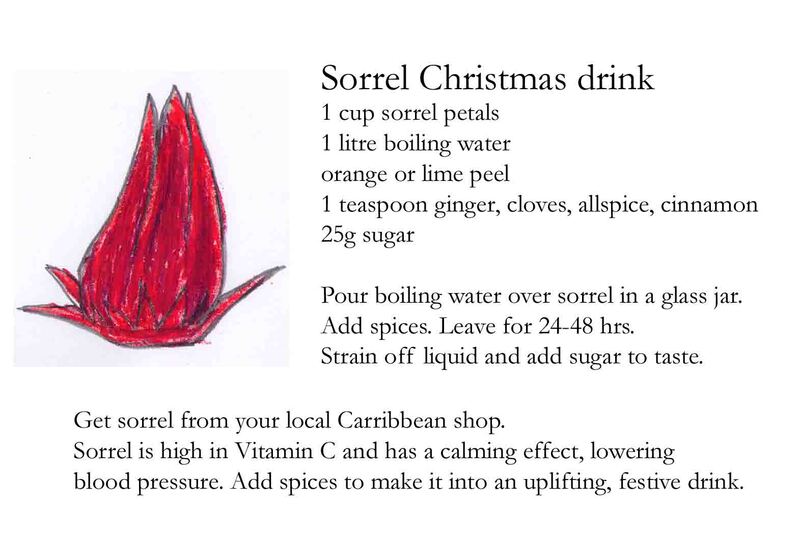 The sorrel was bought from Brixton market. 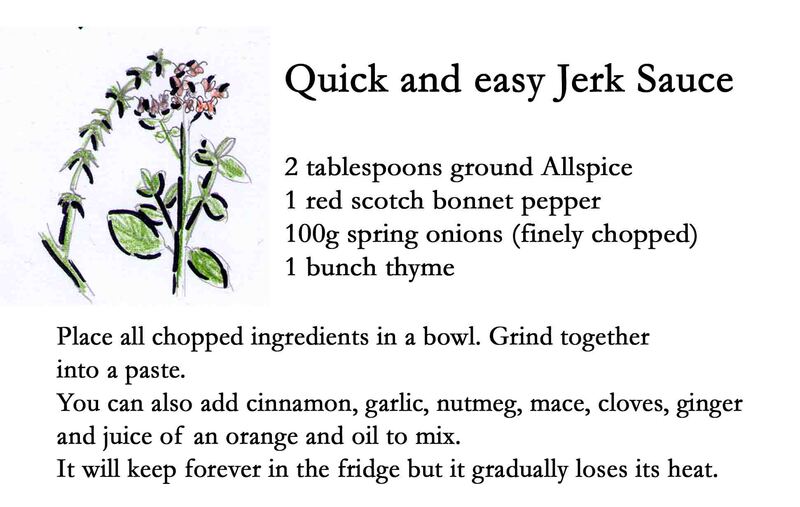 And this is an easy recipe for jerk sauce to accompany the burgers. The thyme was from the garden and the rest of the ingredients from Brixton market. I can’t recommend this book enough. 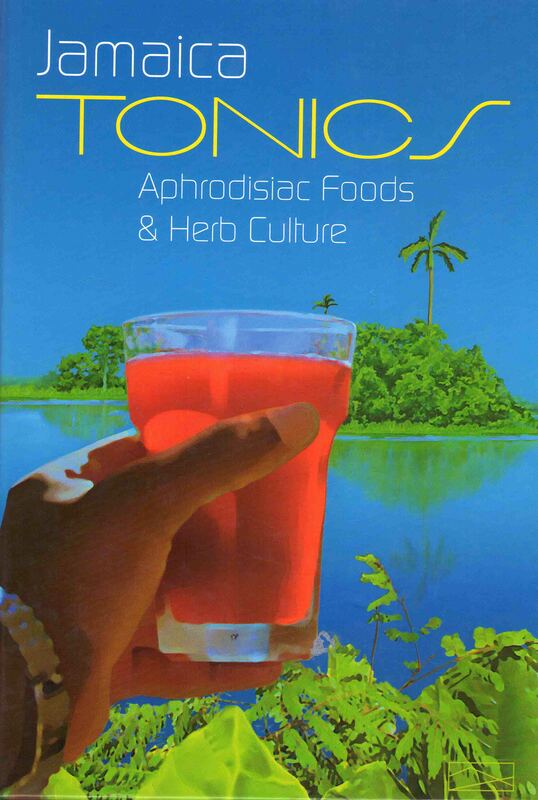 It’s an excellent resource into Jamaica’s wealth of history and tradition around herbs and cooking. Every recipe is beautifully photographed and processes of cooking are practically described. It’s excellent on how traditional recipes have been commercialised, mass produced and stripped of ALL their health benefits, to the detriment of the people who go out and buy them. I got it in the Nubian shop in Atlantic Road, opposite Brixton wholefoods. 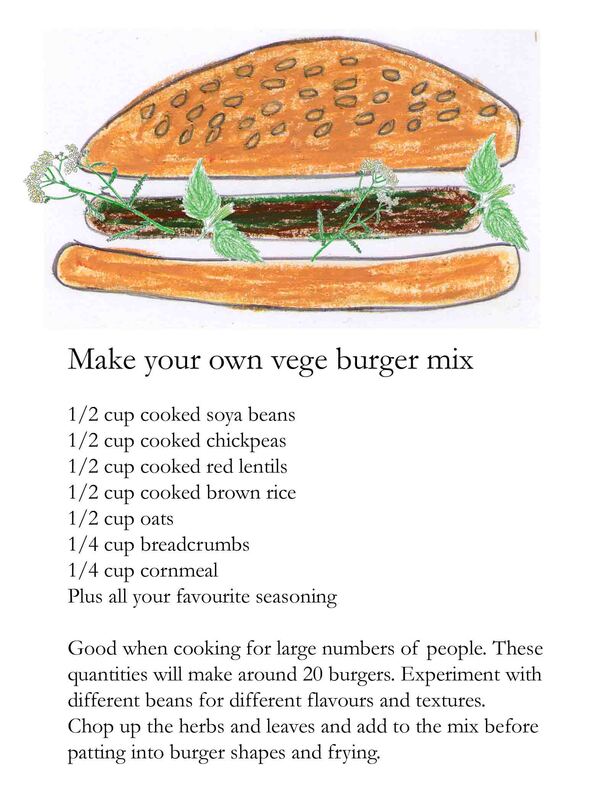 I precooked the beans and this combination of chick peas and soya beans makes a smooth paste for the burgers. It makes loads so good for a party! 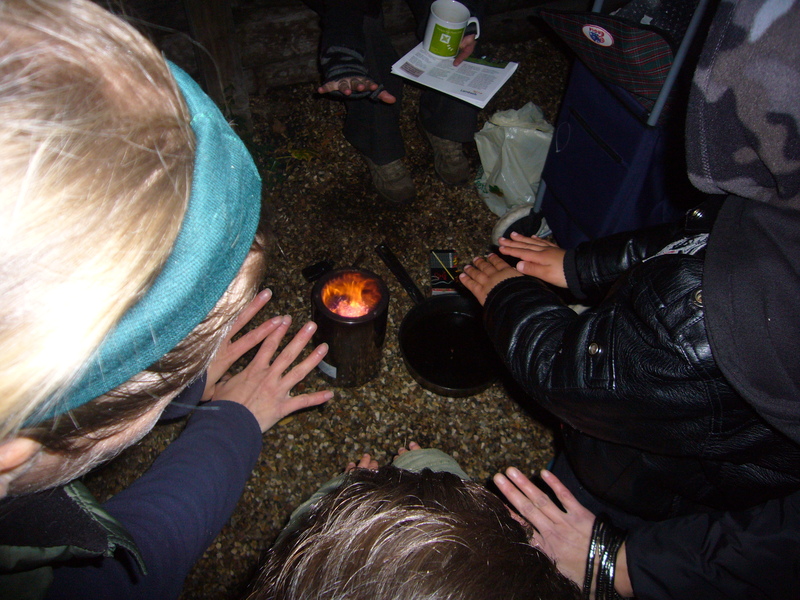 After frying the burgers on the wood gas camp stove, we warmed ourselves on the generous heat from the fire. This was Carole’s gluten free recipe. 50g preserved stem ginger, finely chopped. Beat the butter/margarine and sugar until pale and creamy, or whizz in a food processor for a couple of minutes. 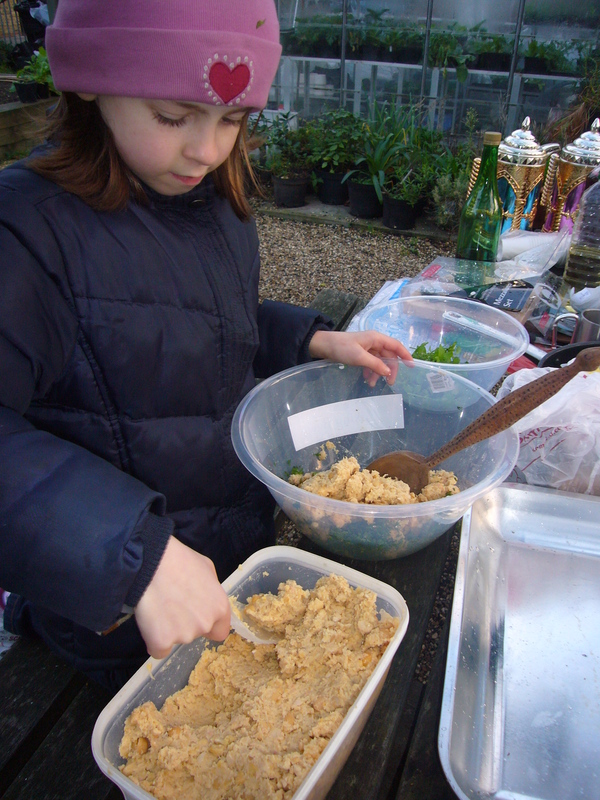 Sift into the butter and sugar mix, the flour, ground ginger and baking powder. Add the chopped stem ginger, and mix until it forms a stiff dough. Wrap the dough in cling film and chill for 30 minutes, in the fridge. If you are feeling lucky, roll out the dough mix onto a floured surface to about 3-4mm thick, and stamp out biscuit shapes. If you’re mixture sticks to the board or cutter’s don’t dispair. Just take small golf ball sized portions of dough, and pat out flat biscuit shapes in your hands. This makes for more interesting, irregular biscuits, which are obviously home made. Bake the biscuits for abou 15 to 20 minutes, or until they have turned lightly brown and are just crisp. Allow to cool and then transfer to a wire rack. Meanwhile, heat up your chocolate in a bowl inserted into a pan of hot water. Drizzle the melted chocolate over the biscuits in a random manner.